ANNUAL REPORT: GENTLY DOES IT. China's rapid recovery after the global financial crisis may yet foreshadow a hard landing as the government struggles to rein in the perennially red-hot real estate market. Real estate is a hot topic of conversation in Beijing. Around dinner tables and in taxi cabs, the city's residents exchange stories of people making millions from one year to the next buying and selling apartments. Some lament the opportunities lost by leaving their money in banks, while others complain that they can only afford housing far out in the city's suburbs, if at all. Like Shanghai, Shenzhen and other cities around the country, Beijing's real estate market is booming. As is so often the case in China, the numbers are eye-popping. Domestic media report month-on-month increases in housing prices of more than 10% in some parts of the country. China's rapid economic growth is partly responsible for the sharp price increases. But its financial system also plays a prominent role. Early last year, worried about a potential slowdown in the wake of the global crisis, the Chinese government encouraged its banks to step up their lending. The banks responded, extending 7.4 trillion yuan ($1.1 trillion) in new loans in the first half of 2009, up 200% compared with the first six months of 2008. The lending slowed in the second half of the year, but the overall total was still almost double its 2008 level. This influx of money into the economy helped China weather the financial crisis much more successfully than other major economies. Much of the lending has financed infrastructure and other stimulus-related projects, which will support employment, increase living standards and facilitate further economic development. But the relatively rapid rise of real estate prices suggests that some of the money was diverted into other investments. Yvonne Zhang, a senior analyst for Moody's in Beijing, explains, "A very rapid increase in lending is a classic sign of trouble ahead. The evidence suggests that many credit criteria were relaxed last year as the government encouraged banks to keep lending money." Policymakers earlier this year took steps to slow new loan growth and minimize the banks' exposure to risk, especially in real estate. Their efforts led to reduced transaction volumes and slowed somewhat the increase in prices. Overall, though, the impact has been limited. In July an IMF report identified structural factors behind the real estate market's rise and recommended more radical reforms. "In spite of the government's efforts, the propensity for property price inflation and concerns about bubbles will persist," the report said. "A lasting solution will need to include a combination of structurally higher real interest rates, the introduction of a meaningful property tax to raise the carrying costs of real estate, and broader financial market development to provide alternative destinations for China's high savings." Raising interest rates, as the report recommends, is more complicated in China than in other countries. The country's recovery is relatively strong, and the consumer price index has risen to 3.5%, above the government's target of 3% annual inflation. Most countries faced with such conditions would raise interest rates. In China, however, an increase in interest rates could spur capital inflows from abroad. Already, money is pouring in as investors bet on further appreciation of the renminbi. Higher interest rates will likely bring more money in. The low interest rate has big implications for the economy. First, most banks prefer to lend to larger companies, many of them state-owned, at or near the minimum loan rate, rather than lend to smaller, riskier companies at a higher rate. In other words, banks avoid pricing for risk and thus inhibit the development of their risk assessment capabilities. At the same time, smaller, riskier companies have difficulty getting funding through bank loans. Simon Collinson, professor of international business and innovation at the University of Warwick, explains, "Just like any other rapidly growing economy, when there is surplus capital, you're not going to have a very robust capital allocation system. That means the banking and finance system, which is backed by the government, is inefficient at allocating capital to its best use." The low interest rate also has implications for the banks' deposit-taking business. Currently, the one-year deposit rate is 2.25%, significantly below the 3.5% inflation rate. Consumers lose buying power by leaving their money in deposit accounts. As a result, Chinese consumers are eager to pull their money out of banks and find alternative investments. Those alternatives are limited. The government restricts Chinese nationals from personally investing in overseas capital markets. At the same time, the domestic stock markets are volatile and rarely reflect the economic conditions of the country. Last year the Shanghai Composite Index rose almost 80%. In the first nine months of 2010, it dropped more than 19%. The country's renminbi-denominated bond market, while developing rapidly in recent years, is still closed to most investors. Real estate is one of the few investment options available. Moody's Zhang explains, "Though the percentage of wealthy people is low, the actual number of wealthy people is quite large. With no alternative investments, they rush into real estate, mainly to preserve their wealth." Policymakers are working to increase investment options. Beyond pushing forward development of the bond market, the government has expanded its qualified domestic institutional investor program, which allows some individuals to invest limited amounts through banks and financial companies in overseas markets. Last year the Shenzhen stock market launched a Nasdaq-style exchange to raise money for small and medium-size enterprises. Regulators have also loosened restrictions to allow futures contracts, short selling and margin trading, and the government has expressed interest in opening up areas such as healthcare and infrastructure for private investment, though few details have been released. While these moves mark significant progress in expanding financial options, few of them are open to individual investors, and all of them will take time to develop. According to a September statement on the central government's website, a trial property tax will be implemented in selected cities and eventually nationwide. 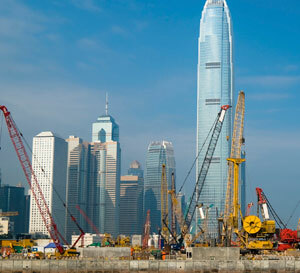 Domestic media indicate that Shanghai and Shenzhen could be among the first cities to participate. A property tax would increase the costs of holding land, potentially reducing its viability as a store of value. Stephen Joske, director of the Economist Intelligence Unit (EIU), China's forecasting service, describes the potential difficulties in implementing the tax. "A property tax is an economically efficient reform, but it's unclear whether the tax will happen and, if it does, how significant it will be. Big tax changes create winners and losers. In the housing market, the losers could possibly outweigh the winners, so the politics of it are difficult." China's municipal governments could ironically be among the losers, despite gaining more revenue from a property tax. China's local governments are prohibited from running deficits or issuing municipal bonds, so local leaders rely heavily on land sales to fund their budgets. A weak real estate market could hurt public finances at the local level—although there is a possibility that the central government could provide compensatory subsidies. Despite the short- and medium-term challenges, the EIU's Joske thinks the long-term prospects for China's economic stability are strong. "There are some signs of structural inefficiencies, but this is not a system that is about to fall over and the take the country down with it. China is still in the early stages of its development process. It's got a couple of decades worth of future growth in housing prices ahead of it, no matter what happens." City commercial banks face many pressures. The banks must be competitive in the market, follow the central government's policies and respond to the local government's needs. Several city commercial banks—Nanjing, Ningbo, Shanghai—have successfully balanced those pressures and are now offering innovative products and services and expanding beyond their home markets geographically. None have been as aggressive in product development or geographical expansion as the Bank of Beijing. Earlier this year, the capital city's commercial bank opened China's first consumer finance center and bought a 50% stake in ING Capital Life Insurance. The bank also opened a representative office in Amsterdam in September. China Merchants Bank's business centers on its retail customers. The bank enjoys a long-standing reputation for high-quality service, and retail lending now accounts for more than one third of the bank's total lending portfolio. In the first half of the year, the bank promoted not only its personal mortgage loans but automobile, personal business and personal commercial housing loans as well. CMB now leads all small and medium-size banks in China in terms of personal consumer finance, with its market share exceeding 26%. The bank's non-interest income from retail banking jumped 28% year-on-year as the bank expanded its credit card, wealth management, personal banking and insurance services. HSBC has the largest banking network, in terms of total outlets and geographical reach, of any foreign bank operating in mainland China. This year, the bank opened its 100th outlet as well as a new headquarters in Shanghai. The bank expanded its total lending in China by more than 40% year-on-year in the first half of the year, offering deposit and lending services in 22 Chinese cities. HSBC joined the China Bank of Communications to launch credit card services and is awaiting regulatory approval to set up a joint venture with its Chinese counterpart to manage the credit card business. Last year HSBC China launched its HSBC Premier Family Services, which offers financial planning services for education, healthcare, home mortgages and retirement. Ping An Bank and Shenzhen Development Bank both have diverse ownership structures. After Ping An increased its ownership stake in SDB this fall to more than 50%, the two banks launched a massive campaign to integrate their products and services. The effort, unprecedented in China's banking industry, has drawn much attention from within and beyond the industry. The number of parties involved, combined with the degree of attention the banks' efforts have attracted, will push up the pressure for transparency and further improve the corporate governance of the resulting bank, likely to be branded with the Ping An name. The Bank of China readjusted its business strategy last year to focus on its domestic customer base. BOC capitalized on the government's push to keep liquidity flowing to Chinese companies by increasing its corporate lending by 50% last year. Corporate deposits also jumped by 49%. Both of these rates of expansion significantly outpaced those of the three other big state-owned banks. The percentage of lenders rated at BB and above increased as well, though the quality of the loans given could prove less rosy in the long term. For the time being, the surge in lending has helped the bank to boost after-tax profits by more than 25% year-on-year in the first half of this year. The Industrial and Commercial Bank of China took advantage of its expansive banking network to take the leading position among Chinese banks in terms of number of cards issued, card consumption amount and balance of overdrafts. ICBC opened more channels for credit card use by negotiating with supermarkets, department stores, hotels, restaurants and other merchants, while simplifying application procedures, including becoming the first bank in China to offer an online application form. As a result of these efforts, ICBC's domestic credit card consumption increased to 270 billion yuan ($40 billion) in the first half of the year, up 35.4% from the same period last year. Two companies dominate China's investment banking industry: China CITIC Securities and China International Capital Corporation. In the case of equity underwriting, CITIC worked on more deals in the past year and a half, while CICC worked on deals worth more money. Both worked on at least some portion of the Agricultural Bank of China's $22.1 billion IPO, the world's largest IPO to date. So far this year, CITIC has picked up its pace, underwriting 17 equity offerings worth $8.6 billion, according to Dealogic. Going forward, the two investment firms will face more intense competition from their domestic competitors. Goldman-Sachs is well known for its work in cross-border M&A;, but this year the global investment bank has performed strongly in China-related equity underwriting as well. Only domestic firms CICC and CITIC Securities have larger shares of the Chinese underwriting market. Goldman has worked on 22 China-related deals worth $8.6 billion in 2010, according to Dealogic, edging out Morgan Stanley, UBS, and J.P. Morgan to gain 7.3% of the total market share. Goldman worked on the Hong Kong portion of ABC's record-breaking IPO as well as China Lodging's successful IPO on the Nasdaq early this year. China Construction Bank had every excuse to go on a lending spree last year. The bank had strong profitability and ample liquidity, while the government was encouraging infrastructure investment, CCB's traditional area of expertise. The fact that CCB's infrastructure lending expanded by less than 30% testifies to the strength of the market-oriented risk control mechanisms the bank has put in place in recent years. CCB took advantage of the infrastructure investment push to improve the quality of its loan portfolio. The percentage of corporate customers with internal credit ratings of A or above jumped almost three percentage points to 92% last year. At the same time, income from cost advisory services, largely to infrastructure-related projects, more than doubled. China-related merger and acquisition activity is up 17% so far in 2010, according to Dealogic, with inbound M&A; more than doubling in value year on year in the first nine months. China International Credit Corporation greatly outpaced all domestic and foreign competitors in China-related M&A; advising activity in 2009 and has done so again thus far in 2010. The securities firm has advised on deals worth $45.5 billion since the beginning of 2009, outpacing its nearest competitor by more than $18 billion. CICC earlier this year advised China Mobile on its $6 billion investment in Shanghai Pudong Development Bank and recently assisted China Minmetals in its purchase of a 51% stake in Hunan Nonferrous Metals Group. Credit Suisse has emerged from the financial crisis as a powerful player in merger and acquisition activity around the globe. The bank ranks second in global M&A; advising, with its overall advising fees up 88% year-on-year in the second quarter. In China, Credit Suisse worked on 14 deals this year totaling $14.1 billion. The firm captured 8.3% of the market, second only to domestic powerhouse CICC. In one of the largest China-related deals of 2010, ConocoPhillips hired Credit Suisse as its sole adviser on the sale of its 9.03% stake in Syncrude to subsidiaries of Sinopec. China Construction Bank built a reputation early on for mortgage lending and shows few signs of giving up this area of expertise. CCB's balance of personal residential mortgages increased by 41% in 2009 and continued to rise this year, up by 17% in the first half of 2010. The bank led the market in terms of mortgage loan balance and increase amount last year. Responding to fears of a possible real estate bubble, CCB also limited loans to real estate developers and gave preference to mortgage loans for self-occupied housing. UBS is China's largest qualified foreign institutional investor (QFII). The bank qualifies to invest up to $800 million in China's domestic stock market each year, more than any other foreign bank. The bank announced early this year that it would apply to increase its investment quota under new government regulations introduced last year. If successful, UBS could increase its quota by an additional $200 million. Government regulators have also indicated that a new "mini QFII" could be introduced by the end of this year, which would open more investment channels into China's domestic capital markets. It has been a very big year for the Agricultural Bank of China. Traditionally focused on China's vast countryside, ABC became the last of China's Big Four state-owned banks to publicly list with its $22.1 billion IPO in July. In preparation for that listing, the bank cleaned up its balance sheet and revamped its risk management structures. The reform efforts resulted in a 40% increase in profits in the first half of the year. Loans to rural households jumped by 34 billion yuan ($5.1 billion) in the first six months of the year, an increase of 42.4% over the end of 2009, and the bank expanded card services in rural areas and introduced rural insurance and pension products. HSBC was the first foreign bank to open a branch office in China's countryside and has continued expanding, opening nine new rural outlets in the past two years. HSBC offers full deposit and lending services at these branches as well as products and services catering to rural residents and suited for the agricultural industry. As an example, the bank evaluates potential loan applicants based on cash-flow and repayment ability rather than collateral available. China Merchant's Bank's outstanding retail service makes it easy to overlook the bank's accomplishments in servicing the country's small and medium-size enterprises (SMEs). CMB's lending to Chinese SMEs accounted for 47.7% of the bank's total domestic corporate portfolio, and its small-business center more than doubled its number of customers between June 2009 and June 2010. Pricing risk is a key challenge for Chinese banks, and CMB's statistics show evidence of significant progress on that front. The interest rate on its small business loans averaged 22% above the benchmark interest rate, yet these loans had a 0% nonperforming loan ratio. In other words, CMB was able to charge a premium for risk while still finding quality small-business clients. No foreign bank is more dedicated to helping China's smaller companies succeed than Standard Chartered Bank. The bank operates SME banking services in 16 cities around China, offering not only capital for investment but expertise for expanding into overseas markets and internationalizing business strategies. SCB's China-related SME income grew by 42% year-on-year in the first half of the year, while assets jumped by 80%. The bank expanded its business installment lending, which allows companies to borrow and repay on flexible terms with little or no collateral. The bank also set up SME cross-border initiatives with Korea, Malaysia, the UAE and Africa to promote SME expansion overseas. Shenzhen Development Bank has carved out a niche in supply chain finance. While it doesn't yet enjoy an international reputation for its supply finance services, it published a book last year on supply chain finance. Overall, the bank's trade finance balance stood at 135 billion yuan at the end of June, up 17.3% since the beginning of the year. SDB is in the process of merging most of its operations with Ping An Bank. The expansive reach and financial resources of the Ping An group could serve as a further boost to the bank's international ambitions. Standard Chartered Bank takes a nontraditional approach to supply chain finance, evaluating clients' needs and potential risks as parts of interrelated production chains rather than looking at clients as isolated entities. The approach allows SCB to better evaluate risks and offer more-flexible products for its clients. SCB also demonstrated its commitment to its customers last year by underwriting its own financing risks when some insurance companies in China withdrew credit insurance limits. The innovative approach and client commitment is paying off, with SCB's China business growing 200% year-on-year in terms of assets in the first seven months of the year. Treasury and cash management services are increasingly important as China's leaders move to make the renminbi the international currency of choice across Asia. Industrial and Commercial Bank of China solidified its leading position in domestic cash management in the first half of the year, opening 380,000 new corporate settlement accounts and conducting corporate transactions totaling 784 trillion yuan, an increase of 178% over the first six months of last year. ICBC launched its global cash management services late last year and has used the platform to forge partnerships with foreign firms and offer domestic, foreign, and cross-border fund pools. Government subsidies and tax exemptions boosted light vehicles sales last year by 48%, according to figures from J.D. Power & Associates. Zhejiang Geely Holding Group, through its Geely and other brand names, capitalized on the growth to triple its revenue and increase net profit by 35%. China is already the world's largest automotive market, but domestic automakers are now competing fiercely to become the first Chinese company to sell cars in North America and Western Europe. Geely gained much ground on this goal with its $1.5 billion purchase of car manufacturer Volvo. Despite its strong international reputation, Tsingtao Beer has struggled in the past against its domestic competitors, especially Snow brand beer, the world's biggest-selling beer. After an ownership shake-up last year that involved the sale of Anheuser-Busch InBev's 19.99% stake to Asahi Breweries, Tsingtao readjusted its strategy to promote its premium beer products while reducing its costs. The effort yielded a 79.2% increase in net profit last year. The company kept much of its momentum this year, as well as its focus on premium products, with first-half profits up nearly 30% year-on-year in the first half of 2010. Anta Sports Products has been competing for years with Chinese sports apparel giant Li Ning. While Li Ning has marketed itself in China's biggest cities and more recently in overseas markets, Anta has focused its attention on China's second- and third-tier cities, where it is now the market leader. Anta is also working on improving its national and international image, signing basketball star Kevin Garnett and tennis star Jelena Jankovic to promote the brand. Anta also outbid its domestic and international competitors to win contracts to outfit the Chinese team at this year's winter Olympics as well as for the London Olympics in 2012. Haier Electronics Group saw its revenues soar 171% year-on-year in the first half of the year. Government subsidies encouraging rural households to buy or upgrade home appliances helped Haier increase sales of washing machines and water heaters, with revenue from sales of those products up by 30.8%. Haier's most rapid growth, however, came from the sale of its services and products and those of its parent companies, Haier Group and Qingdao Haier, to its network of franchises around China. In addition to its 28.7% share of China's domestic personal computer market, electronics company Lenovo, according to its most recent quarterly report, crossed the double-digit global market share threshold for the first time, selling 10.2% of the world's PCs. Lenovo has outperformed the global PC market for five consecutive quarters. The company also expanded into the mobile phone business early this year with its $200 million purchase of Lenovo Mobile. Lenovo launched its first 3G phone in May. Digital China has taken the lead in China's IT industry by offering a one-stop shop for companies' information technology needs. The company sells products ranging from laptops to powerful network servers while providing consultants and technicians to install and service products. It also maintains a network of more than 10,000 agents and resellers across China. The expansive range of services and geographical coverage helped the company boost profits by 28.6% in the 2009/2010 fiscal year. Tencent is not a media company in the traditional sense but instead one of China's most popular internet portals. Its QQ.com site offered video coverage of all the matches for the World Cup and interviews with players and analysts, as well as content related to the World Expo in Shanghai. The coverage enabled the website to attract more visitors than any other web portal in China. Revenues from Tencent's value-added services, including its social networks and online gaming, jumped by 66.1% year-on-year in the second quarter. The global financial crisis and sovereign fiscal troubles of the past two years have shaken investor confidence in the stability of currencies around the world. As a result, more and more investors are looking at gold as a store of value. Shandong Gold Group has benefited from this growing popularity, building on its traditional strength in gold mining to boost revenue by 67% and net profit by 17.8% in the first half of the year. CNOOC had a rough 2009. The global economic slump dragged down oil and gas prices, and CNOOC's net profit dropped 33.6%. However, the company continued to expand and invest, a decision that paid off this year. Revenue and profits both doubled year-on-year in the first half of the year and production increased by 41%. CNOOC reportedly is considering using those profits to buy BP's 60% stake in Pan American Energy. China this year became the most attractive country in the world for investment in renewable energy, according to global accounting firm Ernst & Young. The country's goals for wind power are particularly ambitious, the report points out, with Beijing planning to produce 90,000 megawatts of energy from wind by 2015. Xinjiang Goldwind has taken advantage of the push for renewable energy to grow its revenue and profits from 2007 to 2009 by compound annual rates of 86% and 67% respectively. China's infrastructure-oriented stimulus plans and red-hot real estate market continue to push up demand for steel. The strong demand is prompting a movement toward more cooperation and consolidation in the highly competitive steel industry. Jiangsu Shagang, the largest private steel company in China, has been active on both fronts, acquiring a controlling stake in special steel producer Jiangsu Xixing Group and signing a strategic cooperation agreement with Baoshan Iron and Steel.